Silver Surfer snowboarding on a Galactus-shaped ramp sure would make things more exciting at any Winter Olympics event. 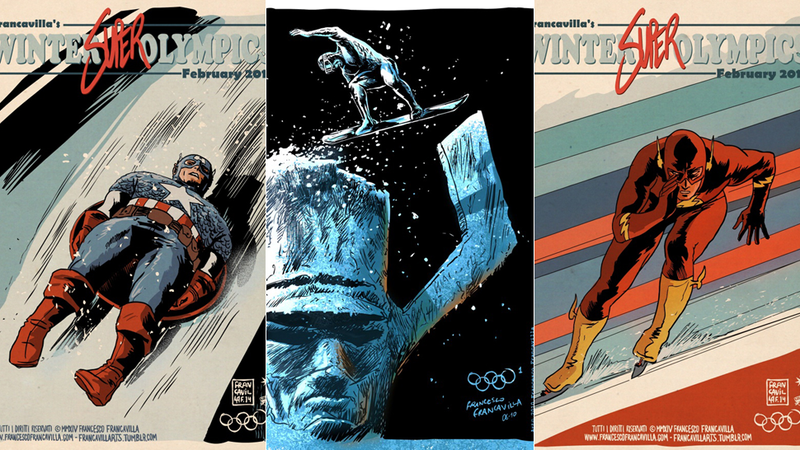 The real games might be over, but here's concept artist Francesco Francavilla pairing superheroes with the winter sports that suit them the best. We've covered Francesco's project when he began working on the pictures, you should check some of the the new ones below and the complete gallery on the artist's site.